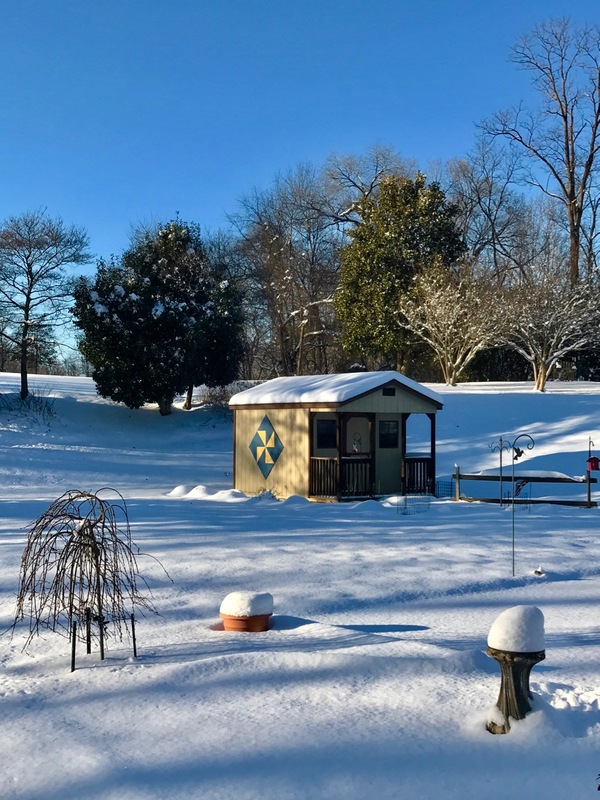 As the sun lowered in the sky late this afternoon, after twelve hours of moderate to heavy snowfall (the first of 2017 for us here in SW Virginia) the beauty of our back yard made me smile. I made the Barn Quilt you see attached to the side of our storage shed for my wife Barb several years ago, and its color, that of the shed and the dark blue sky really made this scene memorable. I believe this will be just one of hundreds more I’ll record during this new year. Many to share here. Beautiful composition….and the setting is lovely. Lovely shed- looks more like a child’s playhouse. Really is a beautiful setting.